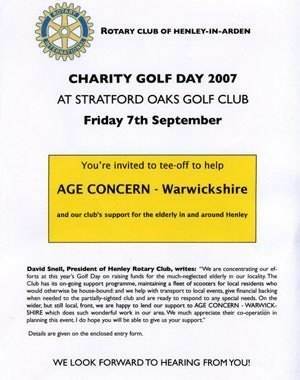 Warks College Seeks Approval for the "Sports Shed"
In a clever tactical move, Warwickshire College has failed to hold the promised second public meeting to discuss their plans and has taken advantage of the bank holiday period to submit their full planning application. No press release has been received about this latest move. The proposed new Sports Hall, referred to by many residents as the 'Sports Shed' will, if approved, dominate the approach to the town from the South. Bordering the side of the Stratford Road, the building will be twice the height of a double deck bus. The artist impression above left issued by the College of the proposed structure as viewed from the Stratford Road is deceptive and probably grossly inaccurate as demonstrated by the ladder picture right. 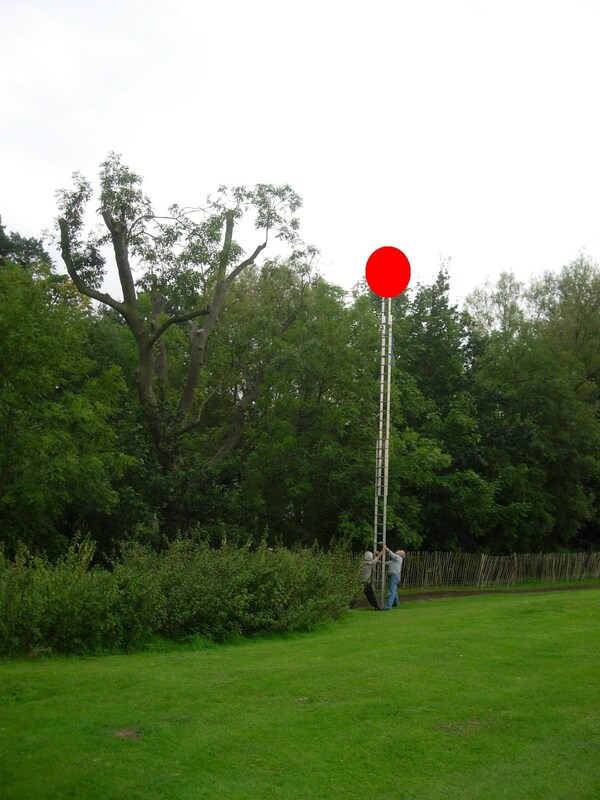 The ladder was extended to the expected roof height and is level with the top of the trees. One local architect has said that the roof height could be reduced by around 12 feet without any loss of facilities. The college at present has an unsightly sports hall and many residents consider the college should be required to demolish the old hall when a new hall is opened. The building as currently proposed is not suitable for the proposed site in that the height of the roof would provide an unacceptable intrusion into the view of what is generally accepted as a typical rural approach to the town. The TIC strongly recommends that the proposed plan be modified to incorporate a significantly lower roof apex. We look forward to seeing any modifications that you can make, but should a planning application proceed on the basis of the current proposal the TIC would have to consider the possibility of lodging a formal objection to the proposal. Henley NEWS On-line recommends all those residents who consider the current design inappropriate to lodge a formal complaint with the District and Joint Parish Councils. Most residents recognise that the College should have better facilities. However, many believe that destroying the Green Belt with such a massive structure is too higher price to pay. The College should now be forced to reconsider its proposals and consult the community as it originally promised. 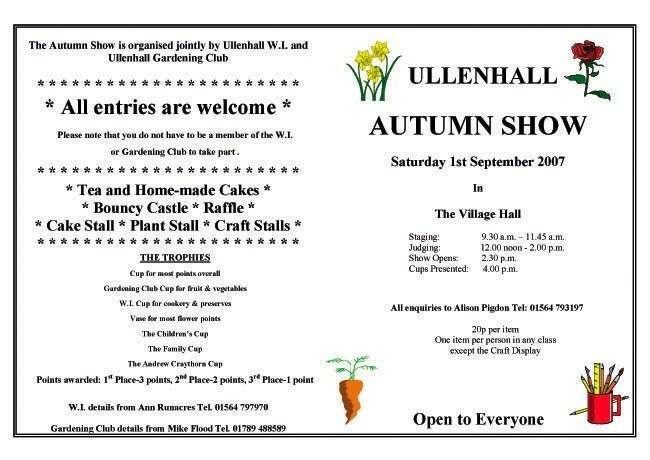 Only a massive response by residents before the deadline on 6th September 2007, can save our "rural approach to the town". Application Reference: 07/00775/FUL - New sports hall and fitness studio linked to existing pavilion. The development is in an area designated as Green Belt. The structure will dominate the southern approach to Henley. The roof height could be significantly reduced without loss of facilities. The college already has a sports hall and serious consideration should be given to the redevelopment of this building. The college has failed to carry the promised consultation with the local community. The laudable aims of the college and the commercial impact are irrelevant to the planning debate. The artist's impression as viewed from the Stratford Road was deceptive and grossly inaccurate. The plans and the Environmental Impact Report have not been displayed on the Planning Dept's website. A traffic island should be required at the entrance from the Stratford Road to cater for the increased traffic. Action is required NOW if we are to save this part of the countryside. You Should also attend the JPC Meeting Next Monday. Application for more masts blown off course! A planning application by T-Mobile to install three more antennas on the top of the Telephone Exchange in Station Road Henley in Arden was rejected by West Area Planning Committee at their meeting last Thursday. The application was referred to the Area Planning Committee because of objections raised by the Parish Council who were represented at the meeting by Cllr George Atkinson. The Parish Council’s objections were supported by District Councillor Laurence Marshall, pictured right, and together they managed to persuade the Area Planning Committee not to support the application. 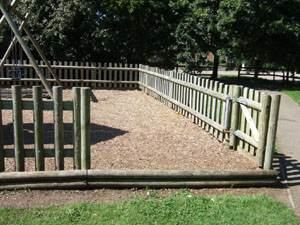 Cllr Marshall commented that in his view it was irresponsible for the applicant not to have consulted with the owners of one of the pre school nurseries in close proximity to the proposed installation and together with the Parish Council he emphasised the unacceptable harm to the outlook and amenity of nearby residents. 16 letters of objection and two petitions had been received by the planning officers. Yet another planning fiasco is happening in Henley as we speak. The plans for the new Sports Facility at Warwickshire College have been submitted without due consideration to local residents. Sounds familiar eh? The only exception is that plans have actually been submitted for the sports hall, not the market ghetto (yet). So let’s try to add some common sense into the situation. A Sports facility : this would be a useful facility for Henley residents to have (if we can use it). A tall building on the A3400 : this would be an eyesore and would cheapen the approach into Henley from the south. So what can we do ? if the building needs to be x metres lower, why not excavate x metres down before building ? Easy eh? Dig a 10 metre hole, then build, then the hall is the original height inside but 10 metres lower on the outside. So come on planners, architects etc use some common sense and speak to the residents please. Not everyone is opposed to everything, but due consideration and common sense should prevail. Yes, we could do with sports facilities, especially with 2012 coming up, but we don’t need an eyesore. As for the backhanded way planning applications are now being handled, our elected 3 and the JPC should support the residents and reject any planning applications that have not considered the residents views, or been through the formal consultation process. Unless of course the application is for a mobile phone aerial, then it’s rejected. 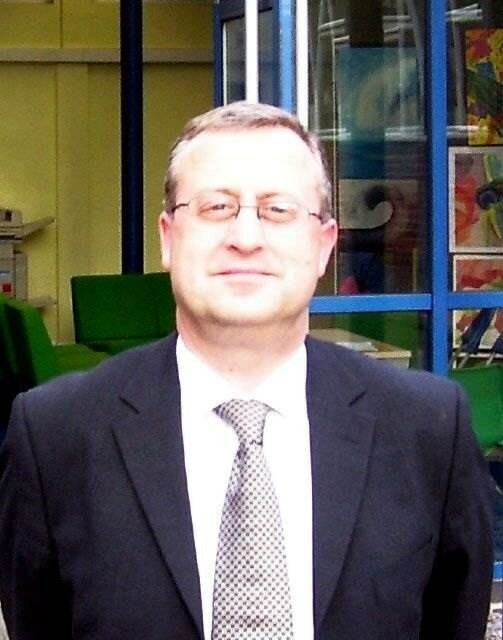 Quoting Cllr Marshall, it is irresponsible for the applicant not to have consulted with ……….. Enough said ! 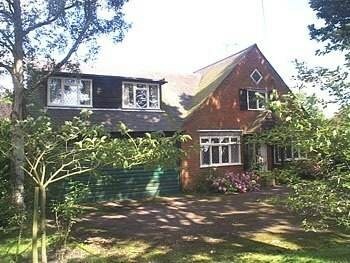 Nicholas Haycock & Co, Surveyors and Estate Agents are pleased to announce their forthcoming Auction Sale. 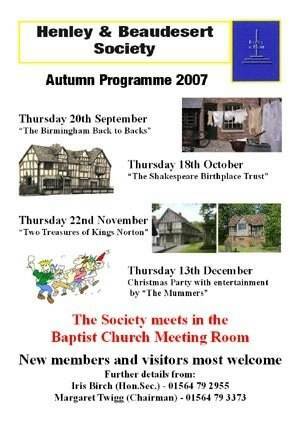 This will be at 6.30 p.m. at The White Swan Hotel in the High Street, on Tuesday 2nd October. Proprietor Nick Haycock comments that The White Swan was the traditional Auction Centre for the area with hundreds of sales being held there over many years. 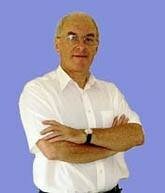 There were many memorable sales with Tony Earle, the legendary Charles Phillips and others at the helm. Unfortunately the Hotel closed suddenly just over three years ago so local auctioneers were forced to hold their sales elsewhere. A significant investment in the Hotel and its facilities has since ensued and we are therefore delighted to be returning to the venue for our next sale. Included in the sale is a freehold country residence, pictured right, set in about a quarter of an acre of lovely mature gardens and known as “The Gables”, Spring Lane, Lapworth. Also for sale that night will be a small plot of land off the Preston Road at Bushwood, a totally rural location between Henley and Lowsonford “It’s about a third of an acre” says Nick, “but it’s a fabulous location and it would make a small paddock, or might be ideal for amenity or recreational use”, he added. “I think it would be a smashing place to take the family at weekends for a picnic, or you might fancy growing some veg” he said. The land is expected to realise £5,000 - £10,000 in the sale. Details of the lots can be obtained from Nicholas Haycock’s offices (129 High Street) or by phoning 01564 793400. Results from the sale will be published in the Henley NEWS On-line. 69% of students at Henley High School achieved 5 A* - C grades. This represents a 5% increase when compared to results in 2006. Students performed especially well in English and Maths. 77% of students achieved a A* - C grade in English and 81% of students achieved an A* - C grade in Mathematics. In total 65% of students achieved 5 A* - C grades including Maths and English. This represents a 10% increase when compared to similar results in 2006. Headteacher, Paul Wright commented: “These are an excellent set of results reflecting all the hard work that students and staff have put in. The school has done exceptionally well and I’m really proud of their efforts”. Henley Court, the office complex in Stylers Way and the adjacent children's playground in Riverside Gardens have again been targeted by vandals. The many of the ground floor windows of Henley Court were spray painted and a tree in the central garden broken down. This is the second attack in as many months. 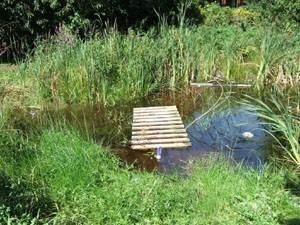 In the children's playground, a fencing panel was pulled off and thrown in the nearby pond. As Henley NEWS On-line has repeated reported, this area of Henley has become a major target for vandalism. 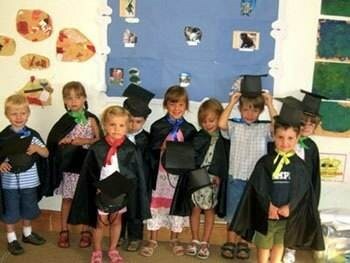 KidVenture Day Care & Pre School held a Graduation Ceremony for the Little Pioneers pre school class who are going on to their first year of schools in the local community. Below is a photo of the graduating class on the day. 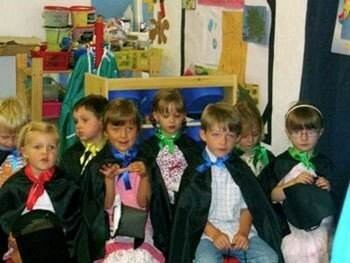 KidVenture Parent Group are holding a fundraising event for KidVenture Day Care & Pre school. From 2 ‘til 4 p.m. In the last edition of the Henley News, the photo of the dairy and partial photo of the old Henley was great. Wondered if any resident had a photo of the school before it was turned into flats. Would love to have one. Thank you. Vintage Trains have rostered Duchess of Sutherland to operate the final Shakespeare Express trains of the 2007 season on 2nd September. Princess Coronation Class Locomotive No 6233 Duchess of Sutherland was built in Crewe Locomotive Works by the London Midland & Scottish Railway Co. Ltd. and entered service in July 1938. She was one of only five locomotives to be built as non-streamlined in the early production batches. For the first six years of her service life she was allocated to Camden depot in London from where she worked the principal trains from Euston on the West Coast main line. In 1944 she was transferred to Crewe North depot and between 1944 and 1960 alternated between the three depots of Carlisle Upperby, Crewe North, and Camden. Her final home depot was Liverpool Edge Hill where she spent her last service days until being withdrawn from traffic in October 1963. In 1964 Sir Billy Butlin bought her for static display at his Ayr Holiday Camp and after that she moved to Bressingham Railway Museum, Norfolk. The locomotive was offered to The Princess Royal Class Locomotive Trust and was promptly bought in February 1996. 6233 was moved by road to West Shed, headquarters of the Trust in Derbyshire. The Trust applied for and was awarded a Heritage Lottery Fund Grant of £342,508. This, together with a contribution from the trust itself, allowed the locomotive to become part of the Trust's collection and for her to be restored to full main line working order. The overhaul commenced in October 1998 and was completed Spring 2001. In excess of £500,000 was spent with major boiler work consuming a large proportion of this. 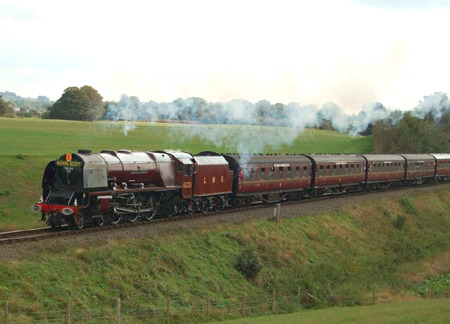 The restored ‘Duchess of Sutherland’ also achieved the unique distinction of being considered so reliable that she could safely be entrusted with the working of the Royal Train in June 2002. This was Her Majesty The Queen's Golden Jubilee year and 6233 ‘Duchess of Sutherland’ performed her duty with considerable distinction. She can be seen on Sunday 2nd September steaming through Henley station at 11.15 am and 2.42 pm. Early figures suggest that commuters are climbing aboard the new free before 9am Stratford Park and Ride service. Launched at the beginning of July, a total of 1,156 passenger journeys were undertaken before 9am on the Stratford Park & Ride in this particular month. The park and ride service is free before 9am from Monday to Saturday, at the Bishopton site off the A46 in the north of Stratford. 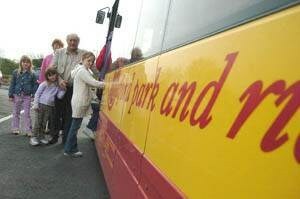 After 9am travelers can park for free and get a return bus journey to the town centre for £1.30. Up to two children accompanied by a fare paying adult travel free and all bus pass holders travel free. The free before 9am service has been introduced in a bid to further reduce congestion and improve the environment in the town centre. This comes after a study found that despite patronage of the park and ride increasing, commuters have failed to discover the benefits of the service. The free before 9am service has received the full backing of Warwickshire County Council’s Cabinet. Regular usage of the park and ride facility could save a commuter more than £100 a month (based on paying in a long stay car park every day). Buses run every 10 to 15 minutes from the site every day from April to September, but not on Sundays and Bank Holidays through the winter months. Law and Order: a backward look? I hear many a light-hearted expression of interest in the notion of the village stocks or pillory as instruments of punishment. Certainly they brought shame upon the offender and it is interesting to consider that those throwing the rotten fruit might well be the offender’s peers and neighbours. There was no hiding place. From the late Anglo Saxon period right through the Middle Ages, the system of “frankpledge” was an effective way of policing. It called for collective responsibility for behaviour. Every commoner had to be a member of a tithing, or group of ten (or thereabouts). The tithing had responsibility for ensuring that any offending member of its own ranks was brought before the court to face sentence. So you might well have to shop your closest neighbour. This could mean the pursuit and capture of the offender. The head of the tithing, called the tithingman or “capital pledge” would make the presentment of the case to the court. Through this system the Court Leet exercised control over petty offences and civil matters, imposing fines and other punishments – including the ducking stool! Henley’s Court Rolls contain the proceedings of the Court Leet and Court Baron from 1592 to 1819. Disorderly behaviour was certainly frowned upon: then as now it interfered with the orderly day to day life of members of the community. It was, and is, a nuisance. Periodically a “view of frankpledge” was held to confirm that all adult men were properly signed-up members of a tithing. Members had to take oath that they would not transgress or help or allow other members to do so. Members of the household of some important folk fell outside the tithing system but in their case their master would have to answer for their behaviour. So the same protection existed for the population at large. Not much wrong with that system, it seems to me. I wonder how today’s troublemakers would fare? Never mind parental responsibility – look out for the neighbours! 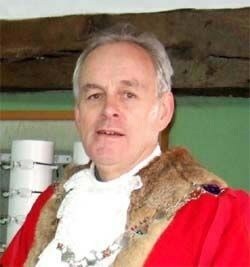 You will hear the term “view of frankpledge” voiced by the Town Crier, on the summons to the Jury and Court Leet, at our annual Court in November. 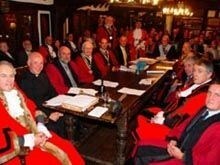 This year the meeting is on Wednesday 14th November, in the Guild Hall. At approximately 1525 hours on 10th August 07 two male offenders approached a property on Ford Lane, Langley. They have then opened a front door that was unlocked and removed car keys which they used to steal a BMW motor vehicle. The two offenders were later apprehended and questioned in connection with this incident. Incident number 319 of 10th August 07 refers. Between 1000 hours and 1635 hours on 13th August 07 unknown offender/s approached a property in Tanworth-in-Arden. They then gained entry by ramming the electric gates. They have then gained access into the property through an open window and removed a 42” Panasonic plasma TV and attempted to remove a second TV. Incident number 430 of 13th August 07 refers. At approximately 1420 hours on 13th August 07 two men approached a property on Brook Road, Aston Cantlow. They then informed the elderly occupant they were from the Water Board and she showed them into the bathroom. While one man kept her talking, the other made a search of the upstairs and removed a quantity of cash. 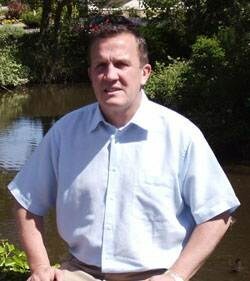 One male described as white, aged 40-50 years, 5’7” tall, wearing trilby hat, grey flannels and grey jacket. Second male aged 17 or 18 years, 5’7” tall, short hair, also wearing grey coloured clothing. Incident number 329 of 13th August 07 refers. Between 17th and 18th August 07 unknown offender/s approached a property on The Green, Tanworth in Arden. They have then gained entry through an open front window and removed a purse from a handbag. Incident number 198 of 18th August 07 refers. Prior to 18th August 07 unknown offender/s approached a property on Bell Field, Tanworth in Arden. They then gained entry through the unlocked kitchen door. Once inside they have removed car keys and used them to steal a motor vehicle. Incident number 199 of 18th August 07 refers. Between 1000 hours and 1810 hours on 22nd August 07 unknown offender/s approached a property on Blackford Hill, Henley in Arden. They have then gained entry and stolen a flat screen TV and a computer. Incident number 435 of 22nd August 07 refers. Between 0900 hours and 1550 hours on 24th August 07 unknown offender/s approached a property on Barley Close, Henley in Arden. They then gained entry by forcing the rear patio doors. Once inside they have stolen a TV, CD player, jewellery and a quantity of cash. Incident number 345 of 24th August 07 refers. At approximately 0050 hours on 27th August 07 unknown offender/s approached a property on Penn Lane, Tanworth in Arden. They have then removed a single pane of glass from a log cabin in the back yard. No entry gained and nothing believed stolen. Incident number 489 of 27th August 07 refers. Between 1800 hours on 10th August and 0930 hours on 11th August 07 unknown offender/s approached a property on Stratford Road, Hockley Heath. They have then entered a separate garage and removed power tools from a motor vehicle parked within. Incident number 362 of 11th August 07 refers. Between 0230 hours and 0330 hours on 14th August 07 unknown offender/s approached a farm in Oldberrow. They have then gained access to one of the barns, currently used as an office and removed electric tools and a laptop computer. Incident number 63 of 14th August 07 refers. Between 2030 hours on 14th August and 0600 hours on 15th August 07 unknown offender/s approached a property on Poolhead Lane, Earlswood. They then lifted the rear access gates off their hinges and approached a brick outbuilding, currently being used as a storage area for garden machinery. They have then gained entry by smashing the door. Once inside they have stolen a quantity of petrol powered garden tools. Incident number 83 of 15th August 07 refers. Between 16th and 18th August 07 unknown offender/s approached a secure caravan in a location in Ullenhall. They have then removed saddles and bridles from within. Incident number 310 of 18th August 07 refers. Between 1600 hours on 13th August and 0730 hours on 14th August 07 unknown offender/s approached a property on Poolhead Lane, Earlswood. They have then used unknown means to remove a blue Mercedes truck. Incident number 94 of 14th August 07 refers. 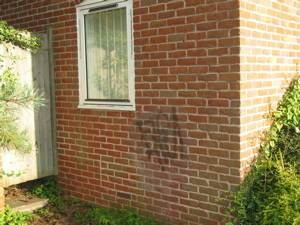 During the evening of 16th August 07 unknown offender/s approached a property on Tinkers Lane, Earlswood. They have then gained entry through an unlocked front door and used car keys to steal a motor vehicle. Incident number 142 of 17th August 07 refers. At approximately 2120 hours on 24th August 07 offenders approached a public house on Stratford Road, Wootton Wawen. 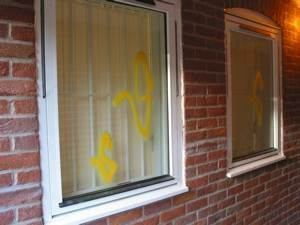 They have then smashed windows and used threatening behaviour. Offenders subsequently detained and questioned in connection with the incident. Incident number 559 of 24th August 07 refers. Overnight between 26th and 27th August 07 unknown offender/s approached a property on Blind Lane, Tanworth in Arden. They have then gained entry to a summer house in the rear garden and re-arranged items within as if in preparation for a person to sleep. Nothing believed stolen. Incident number 162 of 27th August 07 refers. 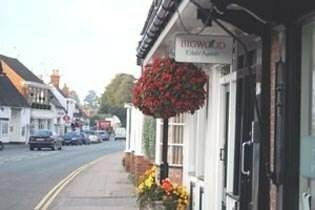 Between 1630 hours and 1700 hours on 12th August 07 unknown offender/s have approached a property on Castle Road, Henley in Arden and stolen a Nokia mobile phone from the kitchen windowsill. Incident number 312 of13th August 07 refers. I've just returned from a week's holiday in France – and yes, it was raining. My brain isn't back in business mode yet so here are a few thoughts to make you glad you live in the 21st century. Most people got married in June because they took their yearly bath in May ("whether they needed it or not") and still smelled pretty good by June. Even so, brides carried a bouquet of flowers to hide their body odour. Houses had thatched roofs, thick straw piled high, with no wood underneath. It was the only place for animals to get warm, so all the dogs, cats and other small animals (mice, bugs) lived in the roof. When it rained it became slippery and sometimes the animals would slip and fall off the roof - hence the saying "It's raining cats and dogs." The wealthy had slate floors that would get slippery in the winter when wet, so they spread thresh (straw) on the floor to help keep their footing. As the winter wore on they kept adding more thresh until when you opened the door it would all start slipping outside. A piece of wood was placed in the entranceway, hence, a "thresh hold." They cooked in the kitchen with a big kettle that always hung over the fire. Each day they lit the fire and added things to the pot. They ate mostly vegetables and didn't get much meat. They would eat the stew for dinner, leaving leftovers in the pot to get cold overnight and then start again the next day. Sometimes the stew had food in it that had been there for quite a while. Hence the rhyme, "Peas porridge hot, peas porridge cold, peas porridge in the pot nine days old." Sometimes they could obtain pork, which made them feel quite special. When they had visitors they would hang up their bacon to show off. It was a sign of wealth that a man "could bring home the bacon." They would cut off a little to share with guests and would all sit around and "chew the fat." I suppose it must have been like this in Henley…….. The Scottish want a referendum on independence. Fine, let’s have one – in England. It takes two to get a divorce. Alex Salmond, the Scots’ “First Minister”, thinks they can walk away from the Union. Good, because maybe we’d be only too glad to see the back of them. Indeed, why can’t the English divorce the Scots rather than the other way around? Whether or not there is a referendum on independence north of Hadrian’s Wall, there should be one in this country. Why should we continue to tolerate the racist ingratitude and profound inequality of the relationship between England and Scotland? Let’s not forget, Scotland is actually smaller than the West Midlands. Yet it makes so much noise you would be forgiven for thinking the English were the junior partner in the relationship. In many ways, we are. The Scots exploit the English in much the same way that colonial powers in the 18th century used to exploit the natives of South America. They take vast quantities of our money and spend it on themselves, making sure their lives are much cushier than ours. Every man, woman and child in Scotland gets £1,500 a year more of our money spent on them than we do in England. You can tell. They have more money per head to spend on the NHS and on transport. They have better care for the elderly. They have free university tuition – free for everyone in Europe except for English students wishing to study there. The unfairness goes on and on. There was a laughable moment last year when Scottish MPs Gordon Brown and Douglas Alexander complained about the level of tolls on the Forth road bridge. The pair were, at the time, Chancellor and Transport Secretary of the United Kingdom of Great Britain and Northern Ireland. But despite their exalted status, they had no power over the cost of driving across the Firth of Forth because that was a devolved decision resting with the Scottish Parliament. It was left to Mr Salmond to abolish bridge tolls in his first 100 days in power. He’s also cut ferry charges, axed NHS prescription charges for the long-term sick and cancelled a tax on graduates. Mr Brown and Mr Alexander have no say in all this. But as Prime Minister and Chancellor they can impose taxes on the English even when most English MPs don’t want them. For instance, the imposition of university “top-up” fees on English students passed through Westminster despite a rebellion among Labour backbenchers. Why? Because the army of Scottish MPs whose own constituents remain gloriously unaffected by this tax sided with Gordon Brown and voted in favour of the fees. You would be forgiven for thinking England was a Scottish colony. Our Prime Minister and Chancellor are Scots. 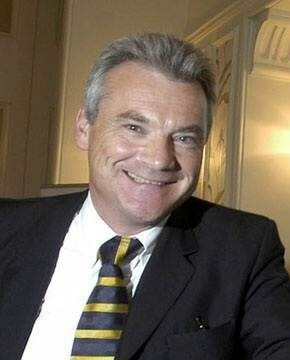 We have a Scottish Speaker in the House of Commons. We have far too many MacMafia politicians in positions of power. We even have to endure the dominance of the Scots in our media. You can’t watch the BBC news or listen to Radio Four without some Scottish accent intoning Big Brother’s thought for the day at you. In the past 300 years, the Union between England and Scotland worked fairly well. We put up with the inequalities for a bit of peace and quiet from the whingeing Jocks. They were prepared to tolerate the English in exchange for an unfairly large slice of our pie. These days, thanks to devolution and the European Union, the long friendship between England and Scotland is coming to an end. It is permissible, in Scotland, to be racist about the English (though it may be illegal to reciprocate). I was brought up with a belief in Britain. I even went so far as to marry a Scot (though she was born in Solihull and her father came from Birmingham, she still imagines she’s Flora Macdonald). But I am tired of the Scots’ constant carping, complaining and criticising. I am bored with their ability to do better than everybody else and still feel hard done-by. I am amazed we still tolerate the Scots’ ability to run their own affairs in their own way – and run our country as well. They can take their deep-fried Mars bars, their Irn-Bru and their bogus tartans to themselves. Now the Scots are talking seriously about independence, it’s clear the question won’t go away until they get what they want. But if this question is to be put to the voters then the English, Welsh and Northern Irish have just as much right to make the decision as the Scottish do. In a divorce, the partner who finally walks out may not be the guilty one. Sometimes the marriage is so intolerable the innocent party has to escape. That’s how it is in our failing relationship with the Scots. We should walk away now before things get any more painful. We’re sick of their bullying, browbeating and abuse. If they want to go off with the European Union instead, let them go. We’re better off without them. Only don’t forget, the North Sea oil is ours. Which bag is best? Paper or Plastic? A few facts may help you decide. Making a ton of paper bags consumes 17 trees (roughly 2500kg) whereas the same weight of plastic bags requires 11 barrels of crude oil (130kg). Making each paper bag releases 2600 grams of air pollution but the plastic bag produces only 500 grams. The energy used in making a plastic bag is less than half the energy to make a paper bag. You might say that the plastic bag is best but plastic bags are easily washed out to sea where they kill marine creatures in various ways. The stomach of one dead minke whale was found to contain 800 kg of plastic bags! You might think that the bags couldn’t have come from Henley, but water in the Alne eventually gets all the way to the sea so any plastic bags in it could get there too. My choice is that neither paper nor plastic bag is best. The best is any bag that is continually reused, preferably made of hemp or some form of recycled materials. Grandma didn’t know how good her string bag was; 90% fresh air and it held a lot! UK supermarkets handed out 13,000,000,000 plastic bags last year. That’s about ten per week per household. If every shopper could reduce his or her average to 1 per week that would be a tenth of the number of bags. Do your bit by using a shopping bag or reusing supermarket bags for each shop. Put the old ones back in the car so you always have them with you. You can also reuse the small fruit and veg bags too.